When Chip Conley applied his interpretation of Abraham Maslow’s Hierarchy of Needs to his hospitality company Joie de Vivre, he tripled its size when most of his competitors were going bankrupt in the post-9/11, Travelocity-frenzy years. Click the player to listen to my 20-minute conversation with Chip or right-click and save for the MP3. Maslow’s theory is represented in a pyramid that ranks human needs in an ascending order from base (security, food) to love and esteem to self-actualization. Chip applies this framework of human needs to create employee, customer and stakeholder satisfaction, ultimately strengthening a company. His book PEAK: How Great Companies Get Their Mojo from Maslow is an operating manual for businesses and an account of how JDV pulled ahead during an industry-wide recession. While company profits were bombing post-9/11, Chip worked to stabilize 80% of Joie de Vivre’s (JDV’s) workforce, the line-level employees, by foregoing layoffs and maintaining salary levels. With job security and their financial needs met, employees were freed up to focus on their work rather than an anticipated loss of income. This feat wasn’t without sacrifice, however. Chip didn’t take a salary for three years, for two and a half years senior executives took a 10% pay-cut, and all managers took a pay-freeze . “It was a great lesson for me to see how we [as a company] can actually adjust to meet [people’s] higher needs,” says Chip. When I asked him how he persuaded management to accept the cuts, he pointed to the strength of JDV’s culture. “If you have a great culture, it leads to people being willing to do things they might not be willing to do in a different environment.” For this reason, JDV invests much more in company culture than in marketing. In PEAK, Chip talks about how he cultivated the company’s culture and how its nearly 3,000 employees, from maids to bellhops, see the purpose and impact of their work. “I think great companies are able to move their employees up the pyramid so that more of their employees are living a calling [rather than a job or career],” he says. Chip is the Founder and CEO of Joie de Vivre Hospitality and author of PEAK: How Great Companies Get Their Mojo from Maslow and The Rebel Rules: Daring to Be Yourself in Business. He founded The Phoenix hotel in 1987 at the age of 26, naming it Joie de Vivre because he was looking for joy in his own life. JDV is a collection of 33 small, upscale hotels throughout California annual revenue near $250 million. Last week John Pritzer of the Hyatt Hotel family bought a majority stake in JDV Hospitality, which will allow the company to expand nationally. Like this interview? 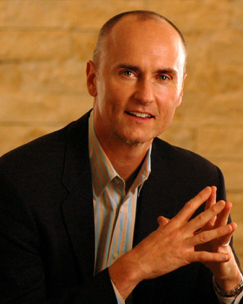 You can thank Chip on Twitter like this and follow him at @ChipConley. thanks O, another good one! inspiring. It’s always great to read your insightful posts about purpose and business. Often people think that only social ventures can benefit the world. But businesses that have a mission of doing good for their employees and their customers should be recognized for their contribution also. Joie de Vivre also has a employee based community giving program that helps them further meaning and purpose through their work. Mary: thanks for reading. Glad you enjoyed Chip. I think he’s great. Lalia: Absolutely agreed. Sustainability or social responsibility extends to employee care. JDV has so may great programs (including encouraging guests to add $1 to their hotel bill each night). Glad you enjoyed the interview and thanks for letting me know. INC – MALAYSIA. is the solution. Write to us today if interested. and have your loan processed within 2-4days.